*Update* HMD has released a new update 1.5.1 for its Nokia mobile support app which fixed the log in bug. Now you can log in to it with your Nokia account. HMD Global released today a new update for their Nokia Mobile Support application. The app is now version 1.5.0, with the update bringing updates to chat functionality, improvements in localization and UI, and something called “Login and registration”. I noticed a new icon in the top right corner (next to the bell for notifications), probably for the login function, but nothing happens when I select it. It is probably for forum registration, but the “Community forums” option still, just, redirects to the webpage. 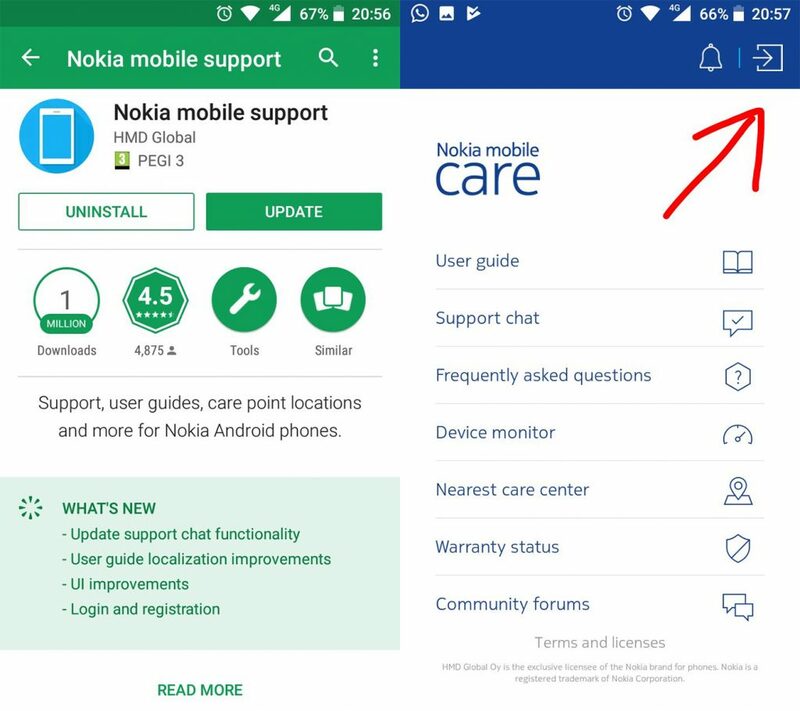 You can find Nokia Support app in Google Play store here.